Chinese multipurpose helicopter. It is a licensed copy of the French helicopter Aérospatiale Dauphin. Joined the People's Liberation Army in 1998. 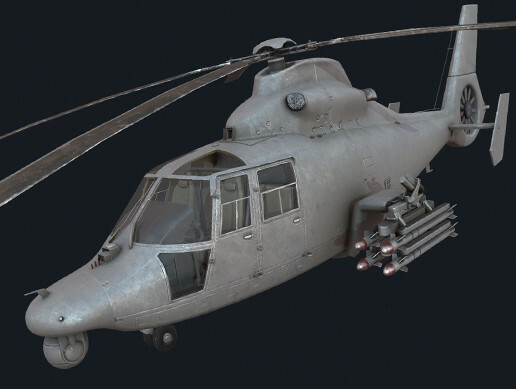 Modification of the Z-9W was the first anti-tank helicopter built in China. - Z-9 (16,927 poly and 17,487 vertices).